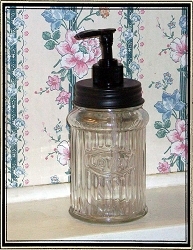 Home > Dry Goods > Lavatory Dept. 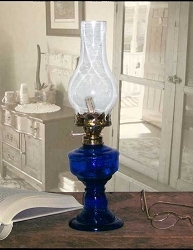 This full-sized 23 1/2 by 12 1/2 in. 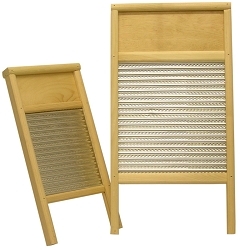 washboard will add that authentic touch to any old-time camp or home ~ also comes in small size 9X18. 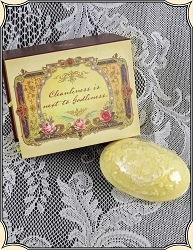 A unique and beneficial product: Unique because it has sold without any advertising for almost 100 years ~ just because people like it and it works so well. For that extra clean feeling, this shampoo helps remove dandruff flakes, seborrhea, and psoriasis. 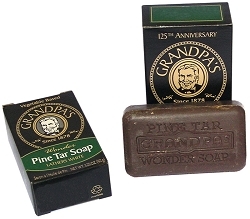 Grandpa's wonder Pine Tar Soap has been a family favorite for generations since 1878. 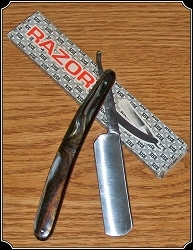 Have a seat in the ol' Barbers chair and have a quick shave with this quality blade with plastic handle. 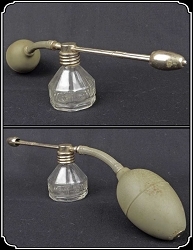 Topical Analgesic. 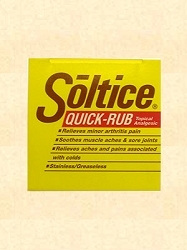 Provides hours of relief from the stiffness and minor pains of arthritis and sore, aching muscles. 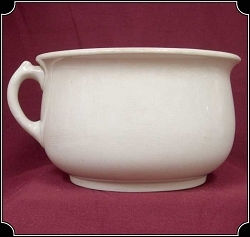 Antique porcelain chamber pot made in UK has a basic design and is in very good condition. 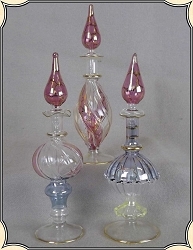 In two different shapes these Victorian perfume bottles are just what you need to add a dab of your favorite Old West scent to wrists and neck.